Are the prophecy sermons most clergy preach today correct...or are they missing the mark by a mile? Could the reason America has lost it's moral compass be because she's on the wrong road and has been for the last 50 years and longer? Could todays Christian clergy be blind to what their predecessors understood? Forgotten biblical keys that "unlock prophecy"... lifting the veil on; the identity of God's true people their purpose now the enemies working against them (why America is facing undue hatred and terrorism) & taking comfort in God's promises for these latter days. Few prophecy books are as eye opening as this one book. Mr. Capt's latest book on prophecy. This is the long awaited companion to"Olivet Prophecies". God caused Daniel to look down the long corridor of time and record the rise of the four great non-Israel world empires or kingdoms and their ultimate destruction by the fifth and final kingdom known as the Stone Kingdom. 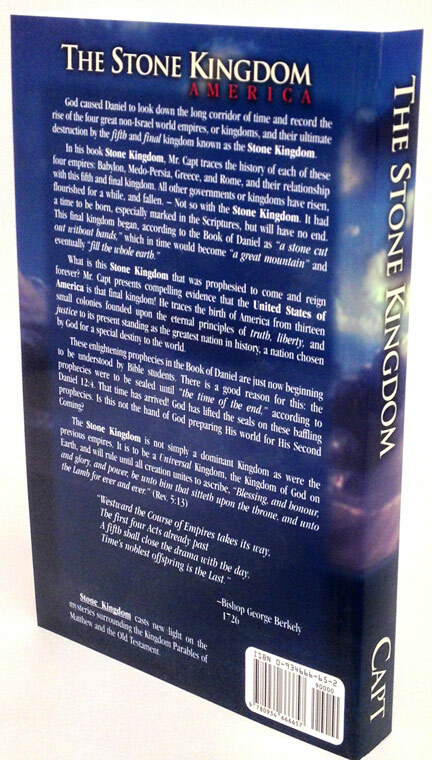 In his book Stone Kingdom Mr. Capt traces the history of each of these four empires: Babylon Medo-Persia Greece and Rome and their relationship with this fifth and final kingdom. All other governments or kingdoms have risen flourished for a while and fallen. Not so with the Stone Kingdom. It had a time to be born especially marked in the Scriptures but will have no end. 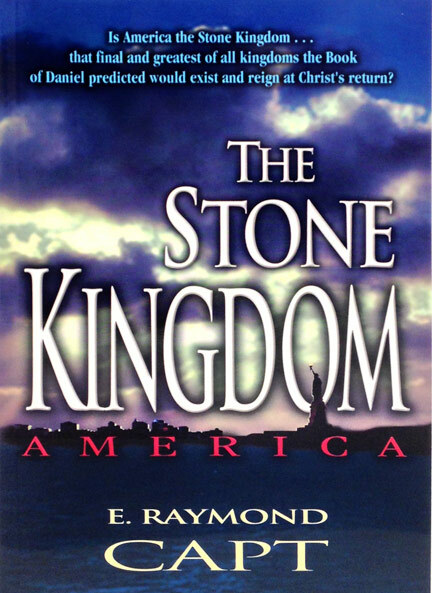 This final kingdom began according to the Book of Daniel as a stone cut out without hands which in time would become a great mountain and eventually fill the whole earth. 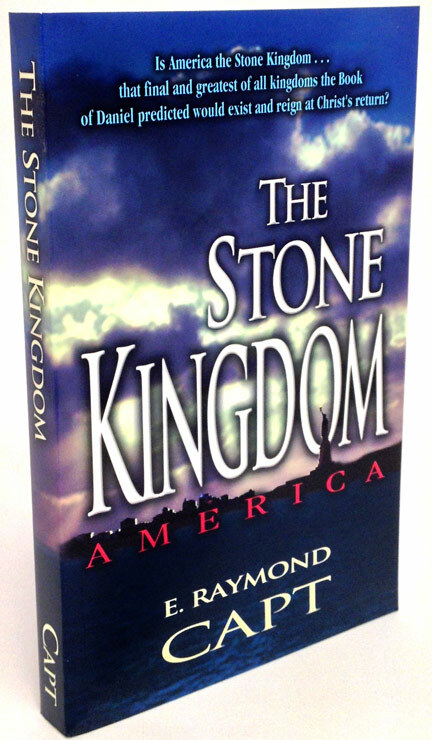 What is this Stone Kingdom that was prophesied to come and reign forever? 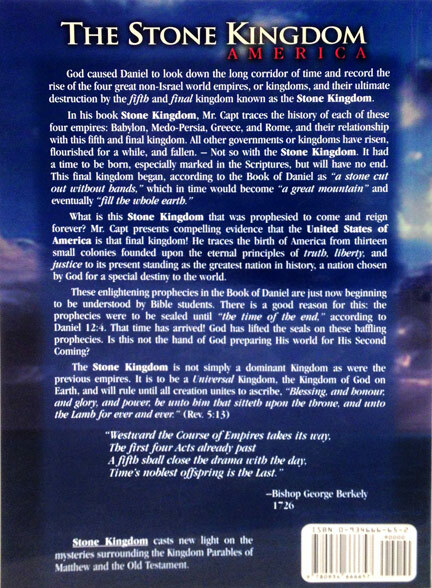 Mr. Capt presents compelling evidence that the United States of America is that final kingdom! He traces the birth of America from thirteen small colonies founded upon the eternal principles of truth liberty and justice to its present standing as the greatest nation in history a nation chosen by God for a special destiny to the world. These enlightening prophecies in the Book of Daniel are just now beginning to be understood by Bible students. There is a good reason for this: the prophecies were to be sealed until the time of the end according to Daniel 12:4. That time has arrived! God has lifted the seals on these baffling prophecies. Is this not the hand of God preparing His world for His Second Coming?